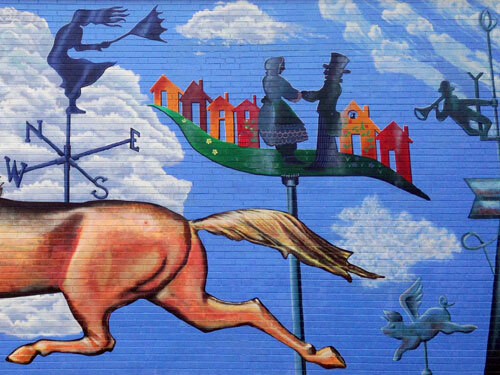 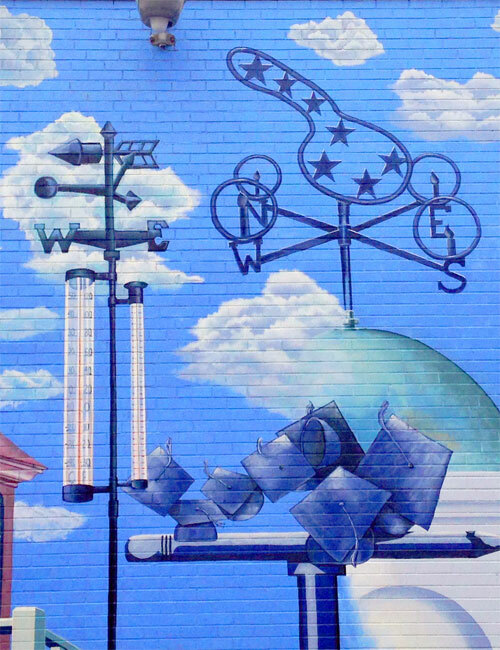 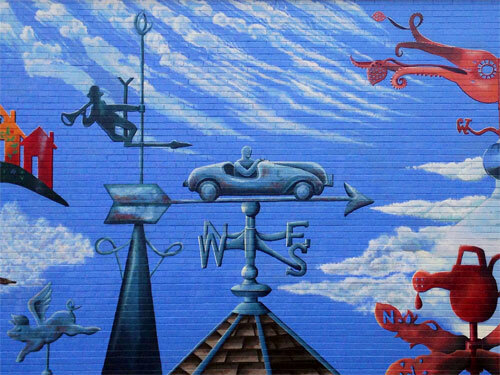 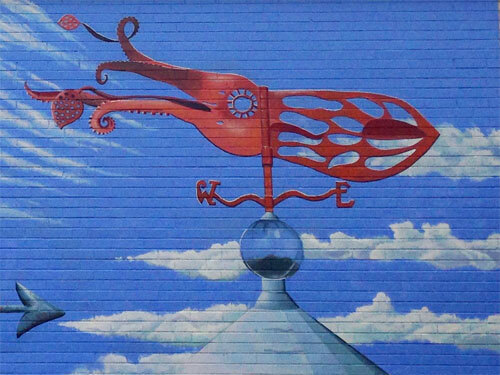 The mural pays homage to the neighborhood being home to some of the earliest weather-tracking systems in the US and, typical of Donaldson, includes tons of locally specific references as well. 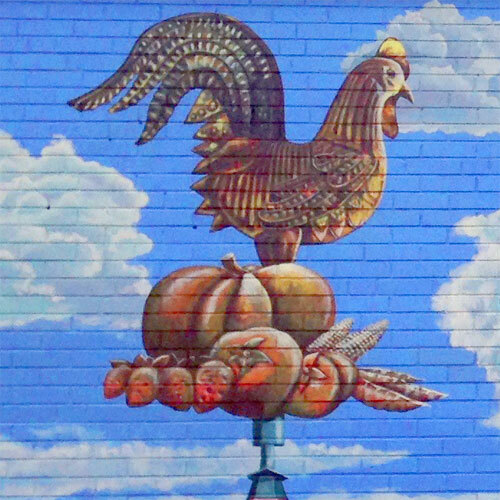 Above, a rooster symbolizes the area’s farmers’ market. 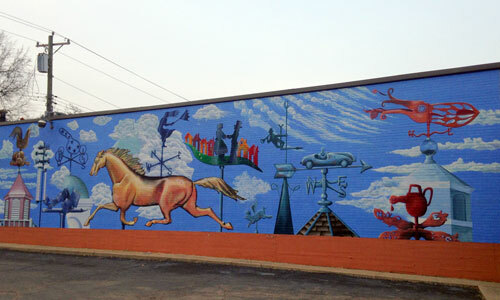 Scott Donaldson is a powerhouse when it comes to Cincinnati murals: he’s responsible for the one on the side of Jean Robert’s Table downtown, the Emmanuel Center in Over-the-Rhine and, my favorite, Campy Washington in Camp Washington. 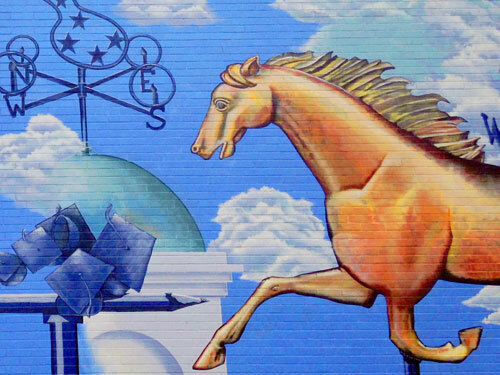 He’s also an accomplished portraitist, by the way.